Luxe gold and classic pearls on this Lele Sadoughi ring will give your look a hint of modern femininity. 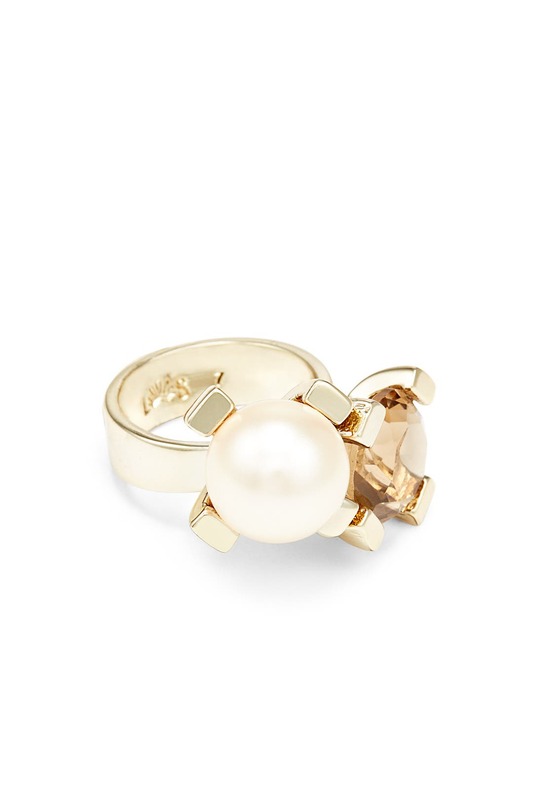 14K gold plated statement ring with a pale pink glass stone and citrine crystal accents. Fits ring size 7. Great cocktail ring. Simple, with a twist. Gorgeous ring! Hardest thing I have rented to return. I received so many compliments! I never received this nor expected to. I received a necklace... put 3 stars because I never saw it! I never received this nor expected to. I received a necklace that worked well. This ring worked perfectly with a taupe gown. 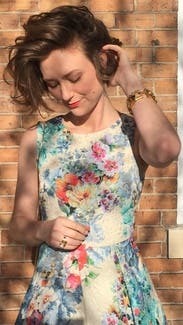 Paired with other pearl and rose accessories. True to size. 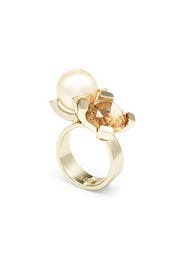 Fun to wear but uneven plane ...pearl rises higher, topaz gets lost.